We use only the highest quality, hand-picked ingredients we would serve in our own homes. Beirut Bakery transforms meals into healthy and delicious celebrations. Our authentic flavors are healthy and reassuring, with an abundance of vegan and gluten-free options to please everyone. We use only the highest quality, hand-picked ingredients we would serve in our homes. Our authentic flavors are healthy and reassuring, with an abundance of vegan and gluten-free options to please everyone. 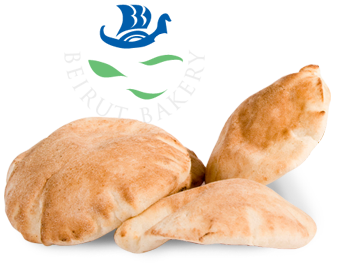 At Beirut Bakery, you’ll find only the most natural, fresh ingredients combined with love, from our table to yours. food is - in addition to being delicious. That comes from making authentic dishes with seasonal, flavorful ingredients - transforming meals into celebrations. Did you know that one cup of cooked chickpeas has 15 grams of protein and 13 grams of dietary fiber? Try our traditional blend of hommus next time you’re in. Vegan and Gluten free! As a thank you to our loyal customers and newcomers, Beirut Bakery is offering a Sandwich card! Buy 10 sandwiches and get the 11th for free. Parsley is the world’s most popular herb and an excellent source of vitamin C. This superfood is our main ingredient in our classic tabouli salad. A patty made of blended chickpeas, fava beans, onion, garlic, and sesame seeds and then fried in vegetable oil. Vegan friendly! Chickpeas and tahini blended with garlic, lemon, salt, and oil. Vegan friendly and gluten free! Finely chopped handpicked parsley mixed with fine bulgur wheat, minced Spanish onions, diced tomatoes and cucumbers, then soaked in BB’s zesty dressing. Vegan friendly! A chunky salad of English cucumbers, juicy tomatoes, chopped parsley, onions, and peppers served with toasted pita and BB’s Sitto’s Fattoush Dressing. Vegan friendly! When our family opened Beirut Bakery in Redford in 1979, we made the recipes we were raised on, for the entire community to enjoy. Detroiters have been buying our handmade breads, salads, and spreads ever since, sharing in the flavors of our ancestors. Our family comes from a village in the south of Lebanon called Deir Memas. It was a beautiful, cosmopolitan country years ago, with Lebanon’s capital of Beirut known as the Paris of the Middle East. Our grandmother made breakfast, lunch, and dinner for her family of 12 every single day, using the local flavors of her village to create comforting, signature dishes. Her legacy continues on through us, in our dishes, sides, and dressings, which you can enjoy at our Redford storefront and in an array of markets and restaurants throughout the Midwest!